11.16.18 | Anti-Bullying Blog | Comment? 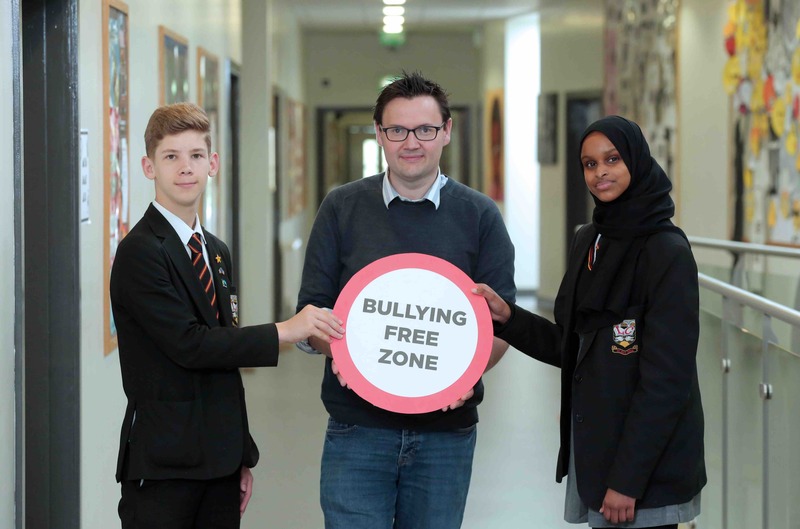 As part of Anti-Bullying Week 2018, Cinemagic have launched “Time to Stand,” a short film tackling bullying and racism which will be shown in a special screening to schools from Urban Village areas at the Odyssey Cinema Belfast. 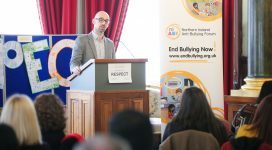 The “Time to Stand” film aims to help young people tackle racism and bullying and has been informed by members of the Racial Equality Subgroup. The Subgroup is convened by The Executive Office (TEO) and functions as a strong voice within local government on issues specifically affecting minority ethnic people, migrants and race relations. “Time to Stand” has been produced by Cinemagic with support from the Urban Villages Initiative, which is a headline action of the Together: Building a United Community (T:BUC) strategy. The Urban Villages Initiative is led by TEO and is designed to support good relations and develop thriving places in areas of Belfast and Derry~Londonderry with a history of deprivation and community tension. “Northern Ireland Anti-Bullying Forum (NIABF) is delighted to include this exceptional short film as part of our resource pack for Anti-Bullying Week 2018. We have created a number of workshop plans and presentations, supporting teachers and youth workers to explore the themes raised in the story among the children and young people they work with. 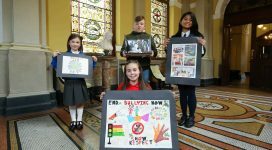 Linsey Farrell, Director of the Urban Villages Initiative commented, “The Time to Stand short film is a fantastic resource for schools and youth organisations to help facilitate discussions around Respect, which is the theme of Anti-Bullying Week 2018.